In a year that saw literary punters make Bob Dylan the odds-on favourite (and in which Canadian readers continued to carry the torch for their own, be it Alice or Margaret), the 2011 Nobel Prize for Literature, announced in Stockholm this morning, was awarded to 80-year-old Swedish poet Tomas TranstrÃ¶mer, a towering figure in Scandinavian literature. TranstrÃ¶mer, long considered a contender for the $1.5 million (U.S.) prize, won “because, through his condensed, translucent images, he gives us fresh access to reality,” the Swedish Academy says in its citation. 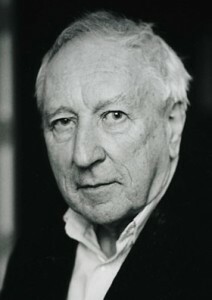 TranstrÃ¶mer’s main English-language translator is Scottish poet Robin Fulton, whose The Great Enigma: New Collected Poems was published by New Directions in 2006. The collection includes poems TranstrÃ¶mer wrote after suffering a stroke that had left him unable to speak. In 2007, TranstrÃ¶mer received a lifetime recognition award from the Griffin Trust for Excellence in Poetry.